First of all it’s a new monument to architecture. But it’s also a new monument to culture. 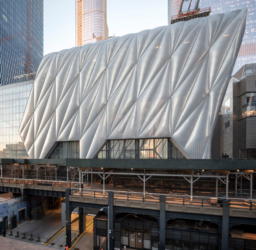 In New York, on 30th Street in between 10th and 11th Avenues, you may have noticed the glass edifice christened “The Shed” which resembles a huge padded display window and takes centre stage in the new Hudson Yards development project, which has caused significant controversy, dubbed among other things “a billionaire fantasy city” by New York Magazine.With this in mind there’s a section of the intellectual New York population that thinks the Shed may be a cultural pretext for a project designed for the mega-rich, far from the spirit of the old social diversity of the city. Due to open this year on April 5, it’s already become a feature in the landscape of this megacity. 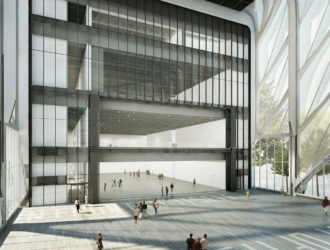 Across almost 19,000m2, it was designed by one of the most cutting-edge architecture firms in the art world today: Diller Scofidio + Renfro. 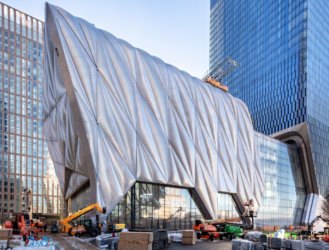 These three partners have also been behind the building housing The Broad, the private museum opened in 2015 in Los Angeles by Eli Broad, in addition to the renovation of the Lincoln Art Center and the design for the New York High Line. In the same city they also designed the new Moma extension, due to open to the public in October. As for their latest New York colossus, it has some amazing features: it’s both transformable and mobile. 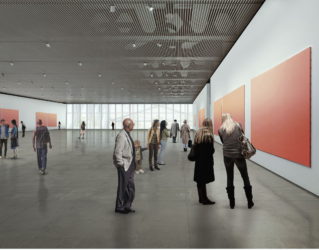 That is, it can metamorphosize at will into a performance space (1200 seats), either open air or not, and an exhibition space. Between 10 minutes and 12 hours are required to give this utterly extravagant building – if we can even call it that – a whole new purpose. That goes for the “shell”, which is one of a kind. Costs for the design and construction of the building is $475 million. 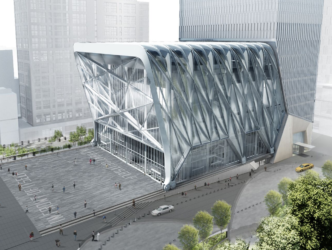 But equally intriguing is what’s going to inhabit, occupy and animate this structure. The mission of the site is a multicultural one, intended to meet the needs of artists, the production of diverse projects, all manner of performing arts and popular culture. 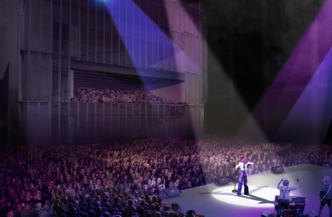 In other words, you will be able to go there and see theatre, concerts, films and the visual arts in never-before-seen ways. At the helm of this ambitious cultural program is the artistic director Alex Poots, who for a long time ran the Manchester international festival, followed by the artistic program at the Park Avenue Armory. 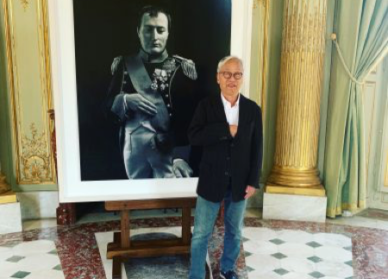 He was notably the co-organizer of a show in 2007 displayed in Manchester and Basel that will go down in the history of contemporary art as an extraordinary experience: “Il tempo del postino”. It was an offering from Philippe Parreno in collaboration with twenty-odd artists, from Matthew Barney to Olafur Eliasson, which consisted of filling time rather than space in a genre-defying spectacle. 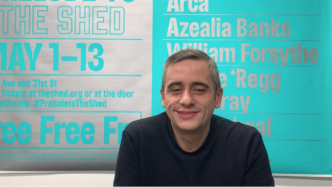 For the Shed in New York, Alex Poots is collaborating with one of his old associates, enthroned as a “special advisor”, Hans Ulrich Obrist, who is also the vivacious director of the Serpentine Gallery in London. Hans explains why he’s embarked on the adventure of the Shed. The display, on the occasion of the opening, is breathtaking. The Shed is showcasing Gerhard Richter set to music. While he paints, the artist listens to pieces like the compositions of the American Steve Reich (famous for being one of the inventors of minimalist music) and in a similar vein the Estonian composer Arvo Pärt. 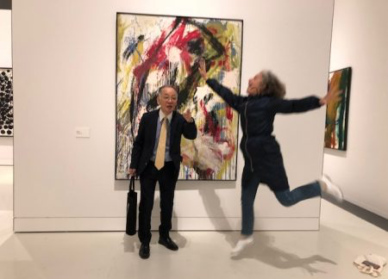 This exhibition of a new genre thus allows visitors to see and hear at the same time, as though inhabiting Richter’s mind. “He’s even invented new formats for the occasion,” explains Alex Poots. “It takes around 60 minutes to get the full experience of the painting and the live music”. On the day of the interview, the Shed’s artistic director is in overdrive. Like any good head of a cultural establishment in our present age, his first concern is the question of funding. “We’ve managed to raise 503 million dollars so far(1). 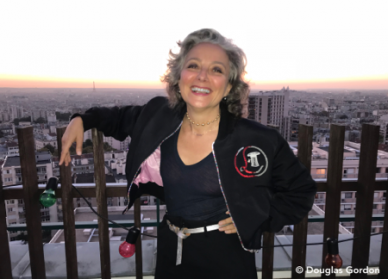 We need 600 to secure the first 3 years of activity.” And he’s keen to show me the roll call of those who donated 10 million dollars, members of the board like the daughter of an oligarch and former partner of an oligarch, Dasha Zhukova, or the fashion designer Diane von Furstenberg. He also highlights the key role of the chairman Daniel L. Doctoroff, endowed with excellent powers of persuasion, who was involved in the fundraising. He then talks about the Shed. Here are the 8 efficient answers in almost one minute each. Note his answer to how the Shed will be received in New York. Is the shed a real revolution in the world of art and culture in the 21st century? You don’t like the distinction between high and popular culture. Can you tell us about that? Did you contribute to the conception of this very unique piece of architecture? How do you create the program for The Shed? What do you imagine the future of a sustainable Shed to be like? Do you think The Shed will be well received in New York? 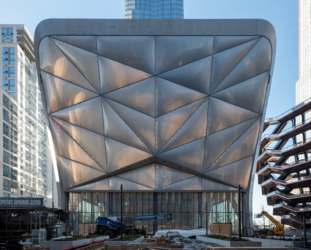 (1)The Shed has raised $529 million on 2 April.